Replace your plastic hooks for the attachment of your enclosure netting with these electro-galvanized steel snap hooks. 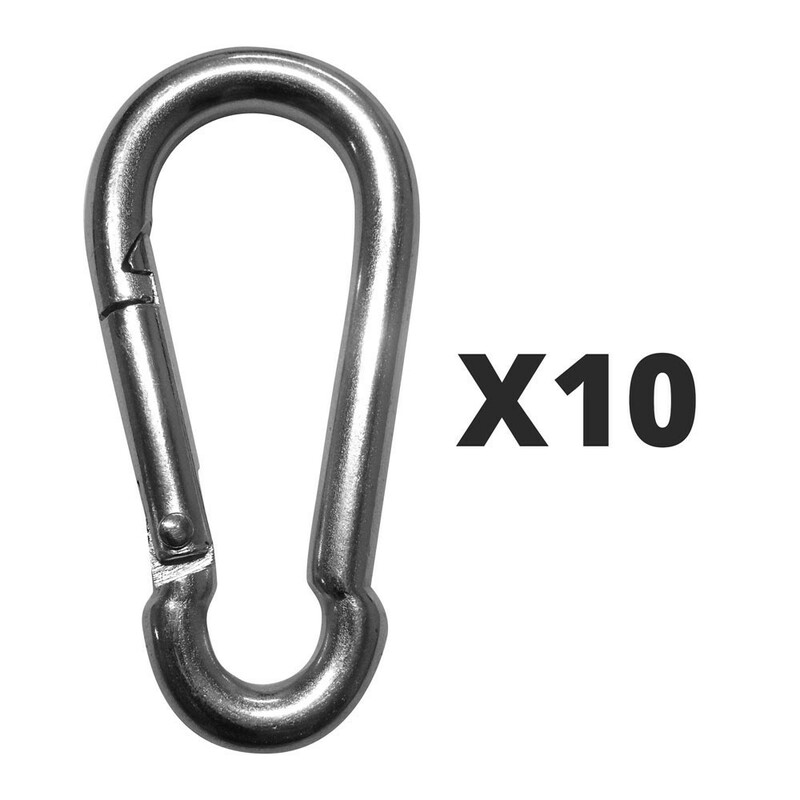 Sold in packs of 10, these snap hooks can be delivered within 2 to 5 days. En remplacement de mousquetons plastique qui ne sont vraiment pas solides.